From the Department of I Should Have Thought Of That, comes Downrange Gear’s QASM Vertical Connector. 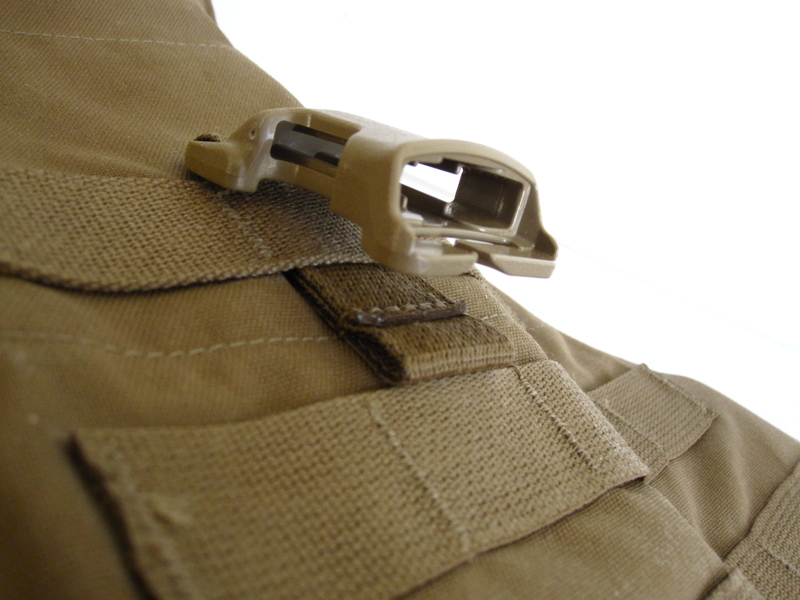 The connector combines a layered length of 1″ nylon webbing, that has loops on both ends, with an ITW QASM buckle. Sliding the webbing into a PALS/MOLLE loop the buckle pays flat over the loop and connects back onto the webbing strap. This clever combo means you can now mount a wide range of accessories in vertical positions with the easy to use and detach ITW QASM buckle system. This entry was posted in Uncategorized and tagged Down Range Gear, ITW Military Products. Bookmark the permalink.